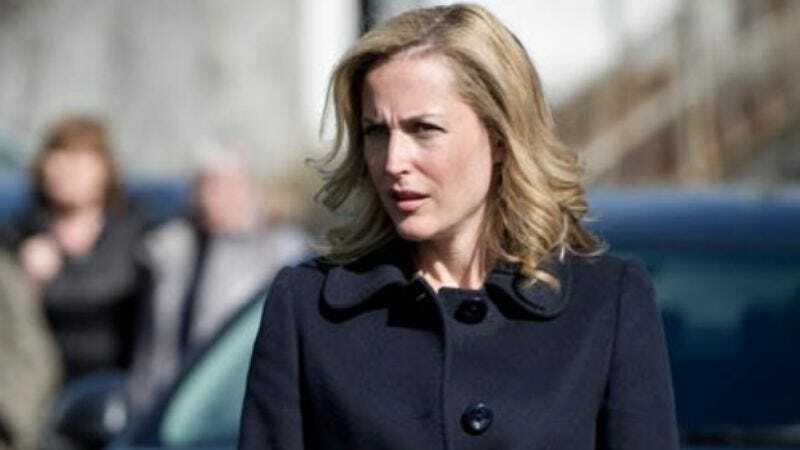 Gillian Anderson recently signed on to stop it with the fancy books and get back to murderers already with a multi-episode arc on NBC’s Hannibal, and now it seems her relationship with the network could last beyond the inevitable episode where she’s killed and eaten. In her first regular U.S. television role since The X-Files, Anderson has signed on to the as-yet-untitled pilot from Life producer Rand Ravich, a thriller about a rookie Secret Service agent (a TV job that’s promising to become a trend next season) and the international crisis that unfolds on his first day, when the President’s son is kidnapped along with his classmates. The show will star twice-salvaged Charlie’s Angels and 666 Park Avenue star Rachael Taylor as an FBI agent whose daughter is among the hostages; cruelly, Gillian Anderson will not play an FBI agent but rather Taylor’s estranged, successful CEO sister, who’s been raising Taylor's daughter as her own. Each episode will feature various FBI things related to a shady international conspiracy happening around Gillian Anderson, while she refuses to put on a sharp pantsuit and go investigate herself. It will be incredibly frustrating.